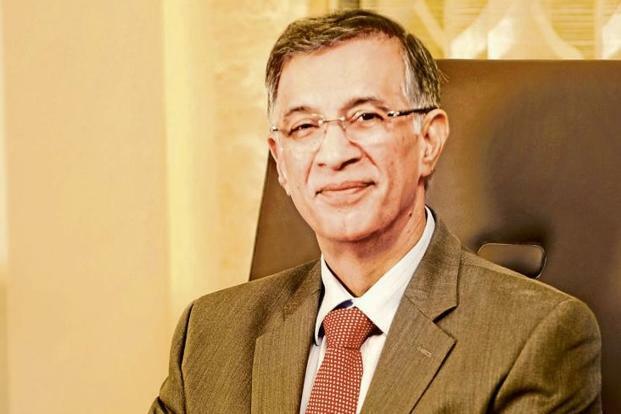 Though the real estate sector is under stress for the last few years, this could be the beginning of a new growth story, said Niranjan Hiranandani, president (national), National Real Estate Development Council (NAREDCO) and chief managing director of Hiranandani Communities. The survival trick for developers and investors is to adapt to the changing environment and government policies. The real estate sector, especially the residential housing segment, is witnessing a lull since about five years. What was the problem? First of all you have to understand that there has been a certain trend of construction working experience environment which took place in the last 25 years. This led to a certain system of working which was put to an end by 2016 and 2017. So there’s a change; whenever change takes place, either you adapt to the change, resist change or work towards the change in a positive or proactive manner. Before I explain further, I will go back. In 1991, there were only two cars, Fiat and Ambassador. They thought they will last forever, because they had a waiting list of about 25,000 cars. And the production was 10,000 cars a year. So they thought nothing is going to happen at least for the next two-three years. Plus, they got a commitment from the West Bengal government that Ambassador will be used permanently for taxis and that the government will buy only Ambassador cars. Similarly, in Maharashtra, the government said that taxis will always be Fiat cars. They said since we have such securities, we need not change anything. However, the automobile sector was opened completely and then Maruti, Mercedes and other carmakers took over. Now millions of cars are being sold. That was a paradigm shift and those who didn’t understand it, got finished. Similarly, look at the monopoly of Indian airlines, or that of MTNL. Similar changes have taken place now (in real estate). Those who understand that change and are willing to understand and accept the new order will be okay. But those who were already in difficulty in the previous regime will not be able to come into the new era until they extricate themselves in terms of resolution of earlier problems. You may be as strong as DLF to say that I will not sell during construction and be able to get away with it, or there will be people who will tie up with others, or those who will work out some development model, or do something to sort out the problems of yesterday, or there will be people who will behave like an ostrich and put their heads in the sand and say that everything will be okay once the storm is gone. Now, those people who put their head in the sand waiting for the storm to stop are finding that the storm is getting stronger. Ideally, they should have moved to a safer place. At present, developers are struggling with demand, regulatory changes and funding. What lies ahead for them? Those who will look in the right direction will move into a new segment and see a growth story of 35% compounded increase in business per year for the next five years. If we grow that much, we will achieve a part of the prime minister target (Housing for All by 2022). The prime minister wanted it (the real estate sector) to grow at 60% per annum to achieve his target. Growth is there—whether it’s 35% or 60% is the only issue. Whether or not you change your methodology to do whatever is better is up to you. Are you going to be in the old world of Fiat and Ambassador, Indian Airlines, Air India or are you going be the Indigo of the world where you will be able to do extremely well. Or you are going to be that Jio of the world, where you can eat up everyone else. All that depends on how you look at your business. So I see 2016 and 2017 as a threshold story which will be the beginning of growth for a new era. But you have to modify and position yourself. If you do that, then the wind will take you up, but if you don’t, wind will trough you down. Does that mean the problem was with the way developers were doing business? No, the environment was like that. So nothing was wrong pre-1991. But the environment changed and the policy changed. Once the policy changes, you need to fit with the new policy; if you don’t change you will be finished. If you are willing to change according to what the new situation merits, which is having adequacy of capital, transparency and taking care of the customer and setting up a new base, you will have no problem. Because there is a growth story there. Are you going to be a part of that story or not is the issue. I don’t see any difficulty in terms of the future. I do see difficulties for those who don’t want to adapt to the changes that are taking place. You said that after RERA, transparency has increased, but if you go through the details of registered projects on RERA websites, many developers have listed a completion deadline of 5-6 years from now. Typically, developers used to give deadlines of maximum three years. Those who have written 5-6 years are not getting sales, so you can write whatever you want, but if your customer is not happy, if the customer wants to invest her hard-earned money and wants to get a house and if she goes to somebody who will say we’ll will give it in six years, she’s not going to buy. These developers are being extra cautious, which is correct at this point of time. But now at least customers are well-versed; they have the information and they can take decisions accordingly. But real estate agents and developer executives mislead customers saying these completion dates are just for statutory purpose, and that the project will get delivered in a year. Very simple, if you buy it considering the words of executives instead of what’s written on the RERA website, you will be responsible for your losses and problems, and you can’t blame anyone else. Customers should consider information provided by the developer on the RERA website. How have insolvency proceedings against developers impacted sentiments of developers, real estate investors and home buyers? The impact has been 100%. But there is no sense in that. Even investors who had the capacity to buy one flat had bought five because they were anticipating that they will be able to sell four once prices go up, making the fifth one free. But definitely the consumer has been badly hit. So whether he’s an investor, consumer or an over-jealous customer, it is the duty of the developer and the government to see that these large projects, especially those of the size of Jaypee, Amrapali or Unitech, should get resolved, with intervention if necessary.